emove wisdom teeth. Most people don’t have enough space in their mouths for their wisdom teeth, so pulling them is advised in order to prevent teeth shifting, pain, and other problems. 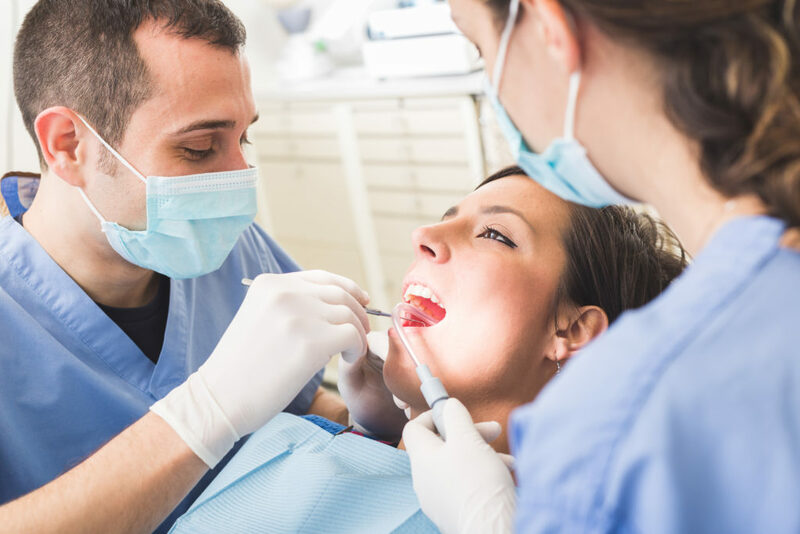 Teeth may also need to be extracted if they have been seriously damaged by a traumatic injury, or in cases of advanced tooth decay or periodontal disease. During the first 24 hours after your tooth has been pulled, several things will happen. Blood clots will begin to form, and the sutures in your mouth will help the tissue begin to heal. You will likely experience some pain and bleeding during the first 24 hours of your recovery process. Typically, you’ll be given a prescription for a pain reliever to aid you through this process. Usually, you’ll be able to return to non-strenuous activities, such as driving and working an office job, within a day of the surgery. However, athletic activities may be limited, and workers in active positions may need to take extra time off, as instructed by Dr. Naik. Swelling also tends to peak at around 24 hours post-surgery. This can be treated with ice packs applied externally to the face, and should subside rather quickly. If pain and bleeding continue and persist for 2-3 days, see your dentist to ensure there are no complications with your procedure. After about 3 days, the empty tooth socket will have mostly healed. There should be no more bleeding present, and swelling should be minimal at this point. After about 7-10 days, your stitches will be removed if they were non-resorbable. If they were resorbable (dissolving stitches), they’ll disappear on their own. After about 14 days, the sockets will be almost completely healed. However, the tissue is highly vascular and tender at the extraction site. Do not brush this tissue too much, and avoid chewing too much food near the extraction site. After 3-4 weeks, the process of healing is essentially complete. You may still feel a bit of tenderness at the site of your extraction, but this should not cause significant pain or bleeding. At this point, you simply have to be careful not to let food or debris build up in your empty socket, so you should be brushing and flossing properly, and irrigating the socket to remove debris, if instructed to do so. The above timeline is just an overview. Depending on your oral health, the specifics of your recovery may differ. So, after you come to the office of Dr. Priti Naik for a tooth extraction, simply make sure that you follow all of her recovery instructions, and you’ll be completely healed in just a few weeks. Do you think you may need tooth extractions in Vienna? Contact us now for an appointment at (703) 288-1800, or come by our office at 8230 Boone Blvd, #320, Vienna, VA 22182 to get the dental care that you need in Tysons Corner and Mclean.